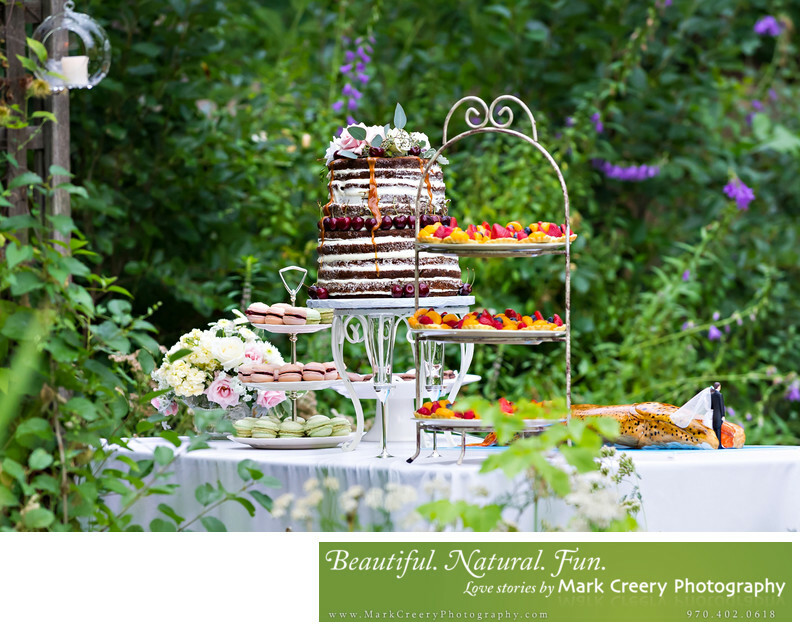 This photo is of the dessert table at the wedding reception, with a more natural feel than the traditional detail picture. I shot this from further away with my telephoto lens to get the background to be softer behind the cake and to compress the background. The couple had a naked cake topped with flowers and surrounded by cherries, along with various tartlets, and yummy macaroons. Not to be out-done, the groom got his own rainbow trout groom's cake, with a miniature bride and groom in the mouth of the trout! Who says weddings and photography have to be traditional?